GLOBAL WARMING? WE THINK NOT! Bulgaria expects blizzard with 20 cm snow - Bulgaria is expecting a blizzard with 20 cm snow. Code orange for dangerous weather has been declared for half of Bulgaria. There will be strong winds, heavy snow and frost in Vidin, Montana, Vratsa, Pleven, Lovech, Gabrovo, Veliko Tarnovo and Smolyan. GLOBAL WARMING LIES ORCHESTRATED FOR MONEY, POWER & CONTROL! The Left Never Can Recognize A Lie! A recent survey of more than 1,000 geo-scientists (commonly known as earth scientists) and engineers reported in the peer-reviewed Organization Studiesfound that only 36 percent agree with the United Nations Intergovernmental Panel on Climate Change assertion that humans are causing a serious global warming problem. By contrast, a majority of scientists in the survey believe that nature is the primary cause of recent global warming and/or that future global warming will not be a very serious problem. The surface of the sun erupted in a solar flare early Friday, unleashing a blast of super-heated plasma into space. 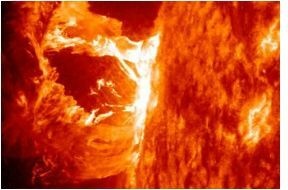 A huge sunspot known as AR1654 produced the M1-class flare at 4:11 a.m. EST, officials with NASA's Solar Dynamics Observatory said in a description of the event. The SDO spacecraft is one of several sun-watching space telescopes keeping tabs on solar flares and other sun weather events. According to Spaceweather.com, sunspot "AR1654 is growing more active and is now "crackling with M-class solar flares" like the one that erupted today. The Sun is Actually Going Into Hibernation! 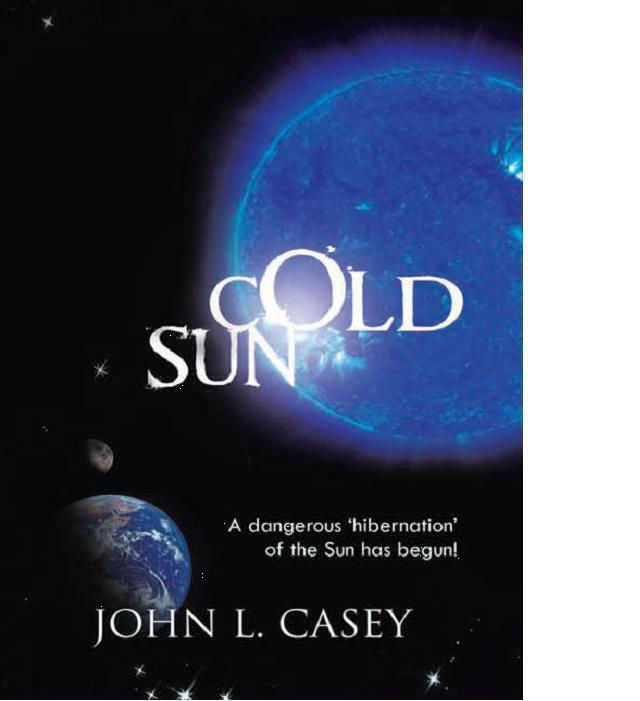 JOHN CASEY - The Sun in Hibernation! John Casey, a former White House space program policy advisor, NASA headquarters consultant and space shuttle engineer, has accumulated 40 years of professional experience spanning a wide variety of technologies, industries and international endeavors. This letter is sent to request that your office take immediate action to terminate any and all initiatives by the State of Florida, including rescission of all past legislation that was based upon the impact on the Earth’s climate by greenhouse gases caused by human industrial exhaust and other human related activities. The primary reason for this special request is based on an overwhelming new set of evidence that shows that the science for man made global warming, or anthropogenic global warming (AGW), from greenhouse gas emissions is invalid. It is widely known that much of the science on climate change and predictions for AGW- generated future climate effects on the Earth, especially that originating from the United Nations Intergovernmental Panel on Climate Change (UN-IPCC) since 1988, has been based on predetermined outcomes, incomplete research, manipulated data, flawed global climate models (GCM), and a substantial overestimate of the impact of greenhouse gasses (GHG), especially human generated CO2, on the Earth’s climate. Further, the advent of a new and potentially dangerous cold climate era which has just begun, essentially eliminates the AGW theory as an effective tool for understanding global climate change. This fait accompli is the result of the AGW theory’s fundamental assertion that as long as CO2 continues to rise (which it is still doing) then the Earth’s atmospheric temperatures can only go up, and never down. Yet, the new cold climate is taking them down for decades to come. The rare and dramatic reduction in the Sun’s energy output which has brought on this new climate era is called a “grand solar minimum” by solar physicists or more appropriately, a “solar hibernation.” Once the Sun enters a state of hibernation, the subsequent, inescapable record cold climate that follows is typically thirty years long or more and regrettably, is unstoppable! First announced by me to the White House, Congress, and the mainstream media in April and May of 2007, this historic change in the Sun has recently been confirmed by NASA, the US Air Force, and the National Solar Observatory. Other prominent scientists years before had done research similar to mine and like me discovered the specific 206 year solar cycle that drives these cold climate changes as well as the preceding run up or global warming that is also part of these natural cycles of the Sun that control the Earth’s climate. Given the validation of the arrival of the next climate period and its true nature, some scientists have even gone so far as to say this new climate will be a repeat of “The Little Ice Age” of the 1600’s and 1700’s. The SSRC position is that it will not be as cold as that but highly destructive nonetheless. Much of the background on this subject is also documented in my recently released book titled “Cold Sun” which is described in more detail at www.coldsun.net. The book has received worldwide praise from leading scientists and other experts. On August 29, 2011, I injected this new climate information in the form of a public input into one of many pending pieces of Florida laws and regulation, specifically, the Action Plan of the Florida Fish and Wildlife Conservation Commission (FWC). I have attached for your consideration, an enhanced version of that input – a summary describing major elements of understanding of the present state of climate change science and analysis. In addition, there are four important matters which I would like to bring to your attention attendant to the review of climate change oriented legislation within the State of Florida. First, it is likely that some officials in the state, including within the environmental, energy and education sectors have been well aware that the science behind greenhouse gas emissions and the UN reports was deeply flawed and unreliable, if not intentionally manipulated. Yet even with this knowledge they may have used state funds and their authority to justify and push forward with programs in support of man-made global warming under the guise of “sustainable development,” and environmental protection, similar to that found in the FWC Action Plan. Some officials may have known that the science behind their programs and legislative actions was unreliable and yet helped advance such despite this knowledge. These actions may be regarded as a violation of their fiduciary responsibilities, malfeasance in office, and actionable. Second, by one account, the Obama administration’s 2011 federal budget includes over $2.5 billion devoted to man-made climate change research and associated programs. I am unaware what the climate change funds picture in Florida is. However, given that the expenditure of any funds for global warming in the state is now highly suspect, it is likely that the state may be able to save a substantial amount of money by an independent review of the state programs that have been based on the dis-proven science of man-made global warming and man-made climate change. Third, since the state has no initiatives what so ever to address the only climate we are now facing, namely thirty years of record cold, I strongly recommend the state immediately act to correct this imbalance, and inform and protect its citizens as state authority and resources permit. 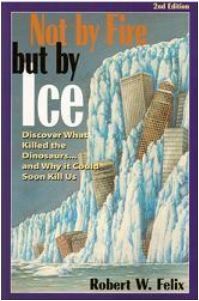 Fourth, it may be regarded as fraudulent where there are individuals and companies in the state who have been pursuing business with the full knowledge that man made global warming science was unreliable, that global warming did not exist and that in fact we are heading into decades of cold weather. Schemes to take advantage of the state or its citizens or investors that are reliant on the bad science of AGW may also be found actionable. This includes such programs as trading in carbon credits, development of carbon mitigation or carbon sequestration programs. In fact, where publicly traded stock companies are involved, such programs may well fall within the definition of trading in “worthless securities” as defined by the Securities and Exchange Commission (SEC) and result in criminal prosecution. I recommend that all government controlled or funded programs in the state tied to man made global warming, including within the environmental, energy, and education sectors be stopped immediately pending an independent review of the science, structure, and intent of these programs. This review should be conducted by an objective body of experts outside of those who were involved in the development of these state programs or associated business activities. Please feel free to contact me at any time on this subject. Did you read this last year? Or the year before? I didn't and I have never believed in global warming! The academics, including 9,000 with Ph.D.'s, claim that greenhouse gases such as carbon dioxide and methane are actually beneficial for the environment. The petition was reissued last year by the Oregon Institute of Science and Medicine, an independent research group, partly in response to Al Gore’s film on climate change, An Inconvenient Truth. By Graham Tibbetts 12:46PM BST 30 May 2008 - Thanks Victoria!